Ohhhhh damn!!!!!! That was my first expression when I heard this track. Ladies and gentlemen it has just got really REAL in the femcee category. I present to you Radiofien, you may have heard her on a track she did with TRK a while ago. Here's some background information on her, taken from her Facebook page. As she grew older, she pestered her parents into buying her an electric guitar, and started guitar classes at 14, but neglected the practice months after. Music was her love, a forest she wandered through restlessly in search of a genre she could nestle into and call home. She soon found that home in rap. Her best friend and her would goof around in boarding school doing spoof raps, but after she left high school and took a gap year, Radiofien started to take the art form seriously. She was familiar with rap, as she’d often crossed paths with it in the streets, nodding in acknowledgment by regurgitating all of Tupac’s lyrics to “Changes” at 7 years old. But she finally struck up a conversation with it when she listened to a J. Cole album. From there, she started writing more and more, recording her first song “What’s Up” with the help of rapper and producer J-Lawless, who would soon be instrumental in her growing in the genre. She went on to do two more songs with the rapper, “The Way” and “Till The Early Morning,” produced by model Willy Monfret. “Casualty of Love,” another one of Radiofien’s singles, also made its rounds on 5FM and stations in Zimbabwe. Radiofien’ also joined forces with TRK, a talented, Zimbabwean rapper who she’s done a number of songs with such as, “To The Money,” which has been played on a number of stations in Zimbabwe. “Humble,” produced by TRK whose song it also was, hit number one on Ms Cosmo’s Top 5 Local Hip Hop countdown. Right now, staring down the big time’s bedazzled barrel, waiting for a shot at fame, Farai is working with producer extraordinaire and fellow Zimbabwean comrade Dutch on her first ever EP. 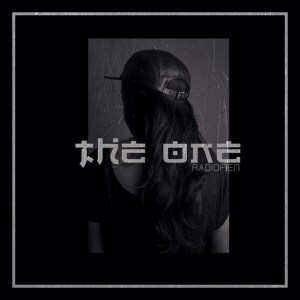 She also dropped the visuals for her debut single off her upcoming project Take One. This is a thumbs up from me. Keep doing your thing girl, you're killing it.